Loose minerals naturally formulated with zinc oxide for a spf protective and pigment rich mineral foundation offering a seamless coverage and optimising the skins appearance, effectively achieving a smooth and radiant complexion. 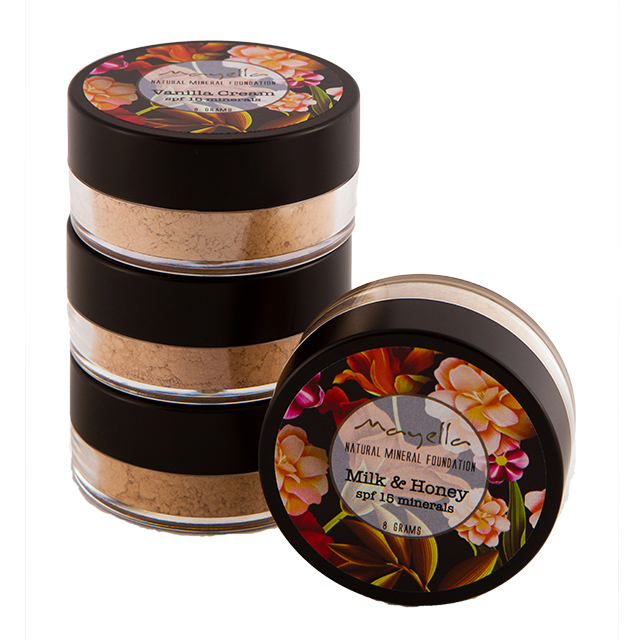 Enhanced with a broad spectrum spf 15 minerals for UV protection, Mayella ® Natural Mineral Powder has been formulated as a natural daily foundation that is suitable for all skin types, women, men and teens. A particularly gentle, non nano, fine and pure blend of natural minerals for a complete coverage foundation. Formulated to achieve a beautiful and desirable skin appearance with a light coverage for everyday wear or a heavier coverage for evening/special event wear. The natural minerals offer an effective, yet natural appearance with a reflective effect making it a perfect medium for photographic events. Your choice shade of Mayella ® Natural Mineral Powder can be applied over a darker or lighter shade of Mayella ® Natural Mineral Powder or Mayella ® Liquid foundation if you wish to customise your particular shade or with seasonal changes affecting your normal skin tone. A perfect blend for very light Asian and Caucasian skin tones. A perfect blend for Asian and Caucasian skin with yellow undertones. A perfect blend for Caucasian skin with pink undertones. A perfect blend for olive, middle eastern and darker skin tones. Shake a small amount of minerals into the lid of your Mayella ® minerals container so as to control the amount you apply to your face. With a kabuki brush or brush of choice gently pick up the loss minerals and buff well into face using a circular motion. Repeat process for a lighter to heavier coverage or until desirable appearance of skin has been achieved. 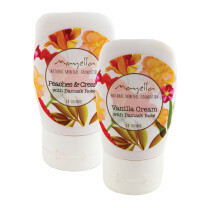 Alternatively, in the palm of your hand mix a small amount of minerals into 1 – 2 pumps of your Mayella ® Vitamin B Active or Vital Lotion and apply as creamy cover. The natural pigments in our mineral powder combined with our vitamin b lotions create the ultimate Beauty Balm / Tinted Moisturiser. Face will be left protected with a light foundation coverage. Can be applied directly over skincare routine and will assist in protecting the skin cells from harmful UV Rays. Remove with your Mayella ® Cleanser before bed. Naturally formulated with no fillers, talc or nasty chemicals.